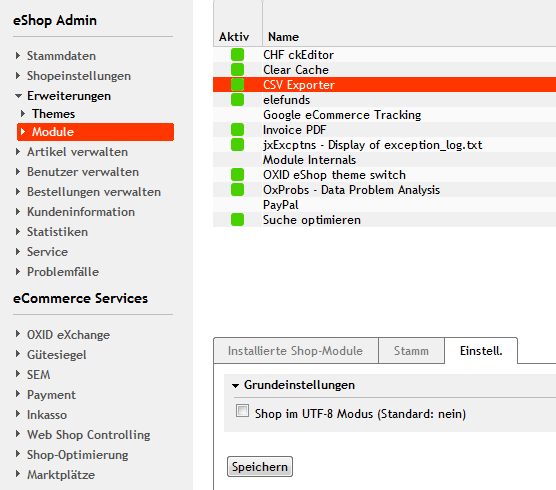 OXID eXchange | CSV-Exporter 1.1.2 | Stable | CE | 4.7.x - 4.8.x - google | Module, Themes, Language Packs direkt herunterladen! Therefore, you can export to many platforms with just one module. You can manually create the CSV Files in the administration, you can just get the file on demand, or you configure a cronjob to do the export time by time.